Buy cheaper with our Naturally Sweet Products coupons and deals. 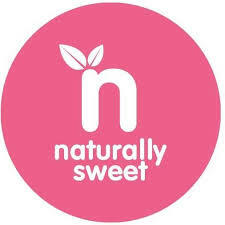 Naturally Sweet is a leading Australian distributor of natural sweetener products, specifically Stevia, Xylitol and Erythritol. We have been established for more than 10 years and have a strong competitive position, particularly online. The marketplace for natural sugar-free products is booming and our products not only taste great but are also good for you! Xylitol is a 100% natural sweetener without the side-effects of sugar and artificial sweeteners and a number of key advantages not normally associated with sugar alternatives. Xylitol is a low carbohydrate, low GI natural product which is not only used as a sugar substitute but is also good for your teeth! Checkout the range of EPIC Dental products that we stock that are all naturally sweetened with xylitol. Every day, the demand for Stevia is rising rapidly around the world and within Australia, simply because it’s 100% natural, 100% beneficial, 100% safe and is set to become a multi-billion dollar product. It is being promoted by many as the “Holy Grail” of sweeteners and you will soon be seeing Stevia used in many well-known common use products around the globe as it rapidly gains popularity. All of our products are non-GMO and diabetic friendly.